While perusing the new arrivals on West Elm on my flight yesterday, I stumbled upon this tote and couldn’t help but chuckle. I mean come on, “Totes Ma Goats”? Gotta love a pun AND play on words. 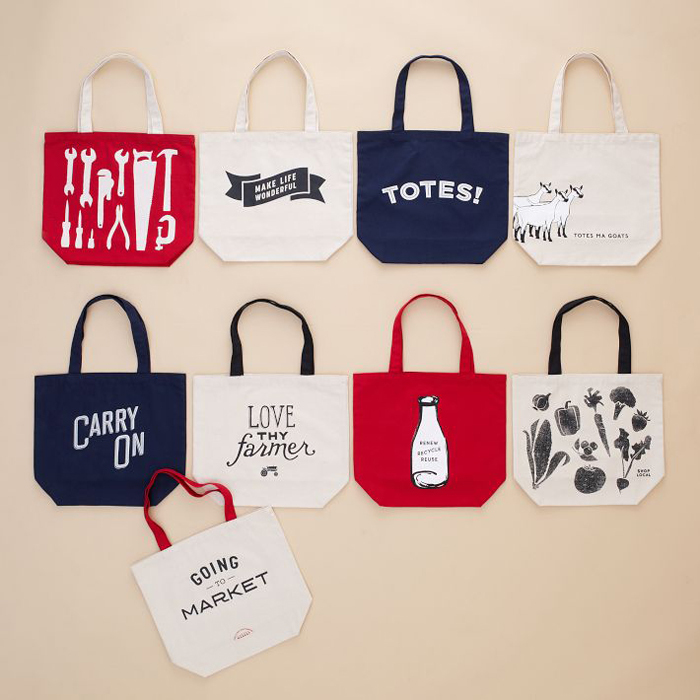 These cute totes are part of West Elm Market, a new line created to make everyday essentials a little more fun. In an effort to be more eco-friendly, I’m going to snag a couple of these for use for grocery store visits. Which is your favorite? Aside from the goats tote, I love the “Love Thy Farmer” and obviously the navy “TOTES!” bag. Too cute. They are all so adorable. I love the one with the veggies + the lil tool set. Too freaking cute. Love these….I’d even use one as a simple summer weekend purse! Thanks for sharing!